CranioSacral Therapy is a subtle and profound healing modality which assists the body’s natural capacity for self-healing. It is a method used to evaluate and improve the functioning of the CranioSacral System. The CranioSacral system consists of the brain, the membranes that cover the brain, the cranial bones (bones that make up the skull), the spine and the cerebrospinal fluid that surrounds and protects the brain and spinal cord. CranioSacral Therapy as it is practiced today is founded on the work and research of osteopaths Dr. William G. Sutherland and Dr. John Upledger. CranioSacral Therapy is highly effective in addressing a number of physical and emotional issues and can be safely used in conjunction with other modalities. What does a session of CranioSacral Therapy involve? CranioSacral Therapy sessions are performed with the client fully clothed. The initial appointment will include a health history, a physical evaluation and a therapy session, and will run about 90 minutes. During this time the therapist will determine the course and frequency of sessions required to address the issues presented. Subsequent sessions will be 50 minutes and may be prescribed weekly, biweekly or less frequently depending on the issues involved. The therapy involves the use of gentle, soothing movements not unlike a very light massage, and can be deeply restorative and relaxing. CranioSacral Therapy balances the CranioSacral system and through gentle releases attempts to remove any restrictions within the system. These restrictions or areas of tension in the body may be induced by injury, stress, infections, trauma, etc. and will compromise the functioning of the CranioSacral system. These restrictions can also affect other systems of the body including the immune, respiratory, vascular, lymphatic, endocrine, musculoskeletal and the nervous system. Thus, the CranioSacral system can affect the whole body, and vice versa, the whole body benefits from a CranioSacral session. CranioSacral Therapy can help the body heal and regulate itself. Who can CranioSacral Therapy help? CranioSacral Therapy is gentle and non-invasive can be beneficial right at birth to babies, children, adults and pets. Trauma during birth can manifest in issues immediately after birth or after a few years into development. Issues that remain unresolved in childhood can progress into adulthood. CranioSacral Therapy can be effective in addressing a number of physical and emotional issues like depression, anxiety, headache, pain, sciatica, tinnitus and post surgical pain and discomfort. A great example of someone with a post-surgical condition who could have benefited from CranioSacral Therapy was Kellie*. She’d had emergency surgery that had left her with a big scar that ran diagonally across her body. The scar had thrown her balance off, She found it difficult to maintain her balance when she lifted weights while lying down on a bench. The doctors had told her that there was nothing they could do to help her address the issue. On the other hand, if she’d had CranioSacral Therapy, it would have helped her body find a new balance. What conditions can CranioSacral Therapy address? CranioSacral Therapy is effective in reducing pain and stress and can be used to help physical and painful conditions, seizure disorders, neurological dysfunction, physical issues and those with an emotional basis. Some emotional conditions like depression, which may result from a physical injury can also benefit from CranioSacral Therapy. names of people have been changed. Consider monthly or biweekly CranioSacral Therapy sessions to maintain and create great health. Experience the gentle, restorative touch of CranioSacral Therapy and leave your session feeling better than when you came in. Rekha and Becca can be reached at Heather’s Holistic Health (302) 678 3433. Rekha R. Bhandarkar CMT uses different therapies including CranioSacral Therapy, Jin Shin Do Bodymind Acupressure, Medicinal Aromatherapy and Reiki. She has been assisting people in addressing and resolving both physical and emotional issues with therapeutic touch for over 20 years. Rekha will customize a treatment plan for each client towards the goal of achieving optimum health. 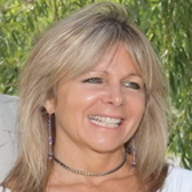 Becca Halbkram CMT is a Nationally Certified Massage Therapist with 15 years experience; she is also a Massage instructor at The Academy of Massage and Bodywork and a licensed cosmetologist with 30 years experience. Becca does Swedish and Shiatsu Massage, CranioSacral Therapy, Reflexology, Energy work and Hot Poultice. Becca incorporates a special healing touch tailored for each client.